Numerous property owners complain that they are never able to find a reliable Hawaiian Gardens plumber when the need arises. However, our team of plumbers is on hand 24 hours a day 7 days a week at (323) 745-2839 to attend to all of the plumbing requirements you may have – no matter how small or large they may be. Because all of our plumbers are highly experienced, it means that the job will always be done correctly the first time – we do not believe in come backs. If a property is more than a decade old, chances are that it will require maintenance from a Hawaiian Gardens plumbing company to be carried out at some point, especially where water heaters are concerned. While many people ignore these units until they give problems, this is not the right approach to take. Failing to replace an aging water heater can result in a significant amount of structural damage being caused if it happens to burst – think collapsed ceilings, rotting flooring, ruined cabinets and closets or even damaged dry walling. Replacements, repair or installation of these units should only be done by a qualified plumber, and we only hire plumbers who are suitably qualified and experienced. Over the course of a few months, a single water leak can cause thousands of gallons of water to be wasted, while also causing a significant amount of structural damage. All of our plumbers have the ability to perform leak detection services quickly and efficiently, and they also have the correct equipment on hand to detect slab leaks – regardless of how small they may be. In addition to this, our plumbers can carry out various drain-related services, such as repair, replacement or unblocking, ensuring that your Hawaiian Gardens, CA property remains as sanitary as possible. Plumbing emergencies will never happen at a convenient time, which is why we provide our emergency service to clients at the fairest prices possible. Whether you are sitting with a blocked drain, clogged toilet or burst water heater that is damaging your property, our plumbers will be able to attend to issues like these – and many others – at any time, even during holidays or over weekends. Our team works incredibly hard to provide quality emergency plumbing Hawaiian Gardens property owners use to get their home back up and running again. 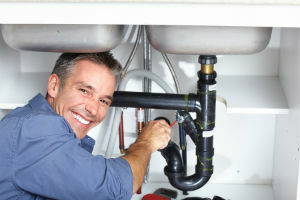 24 Hour Hawaiian Gardens Plumbers | Schedule an Appointment Today!